Katherine Bridget Kelly, basically known as Katherine Kelly is a British Television Actress, Flim Actress, and Singer. 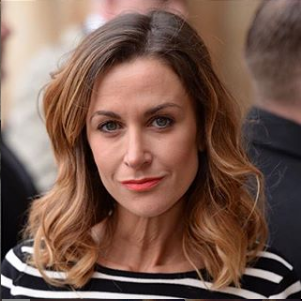 She is known for Coronation Street (2008 - 2009), Best Possible Taste: The Kenny Everett Story (2012) and Mr. Selfridge (2013). She has been married to Ryan Clark since August 20, 2013. They have two children. Her role in the series Coronation Street and Mr. Selfridge. Katherine Kelley was born as Katherine Bridget Kelly in Barnsley, South Yorkshire, England. She is the daughter of John Kelly and Anne Kelly. She has a sister named Gracie Kelly and holds British citizenship. She grew up in the Barnsley neighborhood and attended the Wakefield Girl's High School. Her father originally established Lamproom Theatre in Barnsley. He is originally from Castleisland, country Kerry, Ireland. The actress trained in acting at the Royal Academy of Dramatic Art (RADA). There she studied with Meredith MacNeill and Laurence Fox. During her time in the institute, she worked in various theatre dramas which further honed her already exceptional acting skill. Excluding all of her previous theatre works, she made her debut in 2003 movie, Last of Summer Wine, playing the role of Sharlene. In the TV series, she appeared in one episode titled, "Ancient Eastern Wisdom - An Introduction." Her role in the episode caught the eyes of many producers which led to a few more roles in Silent Witness, The Royal, Bodies, and No Angles. But her most prominent role came in the hit British TV series, Coronation Street. She joined the show in 2006. The actress played the primary role of Becky Granger/McDonald. For her role in the series, she won British Soap Award for Best Actress (2009), British Soap Award for Best Exit (2012), and National Television Award for Best Serial Drama Performance (2012). Apart from this, she grabbed many others. At first, she was cast as the guest character bot soon found her way to become the series regularly. She worked in the series for 6-years until leaving the show in the year 2012. 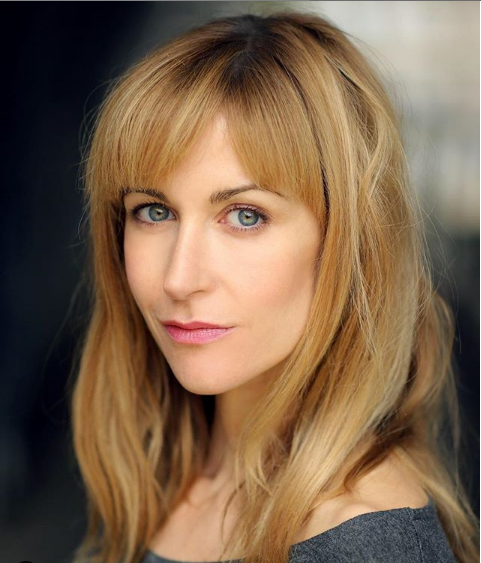 Then from 2013 to 2016, she played in the ITV drama series, Mr. Selfridge, She played the role of Mae, Lady Loxley. Later from 2017 to 2018, she played in the Cinemax drama series, Strike Back, She played the role of Jane Lowry. Her other work in the entertainment industry includes The Field of Blood (2013), Happy Valley (2016), Doctor Who spin-off series Class (2016), The Night Manager (2016), Mudertown (2018), and many others. Speaking of her big screen work, she has worked in movies such as Sons and Lovers (2003), Mischief Night (2006), Coronation Street: Out of Africa (2008), Coronation Street: Romanian Holiday (2009), and The Last Witch (2013). She has also lent her voice in Class. According to many sources, as of this year, her estimated net worth is $ 2 million. The main source of her wealth is from her acting career. The average salary of a series regular in Coronation Street is around $ 67 Thousand. As she was the series regular we can expect her salary to be around the same figure. Talking about her personal life, she has married her longtime boyfriend, Ryan Clark on August 20, 2013, in Las Vegas. She had a very romantic love story with her boyfriend and according to her, they got married without informing their parents. They tied the knot in a secret ceremony at the Little Church of the West in Las Vegas. Ryan is from Australia. The couple is proud parents of two daughters named Orla Rae Kelly Clark, born in 2014 and Rose Christie Clark, born in 2016. Until now, there are no such rumors related to their divorce and extramarital affairs from both sides by which we can confirm they are having a happy married life. Talking about her physics, she has a height of 5 feet 7 inches. She has a pair of hazel eyes and blonde hair. Her other body information will be updated soon. Trained at the prestigious Royal Academy of Dramatic Art (RADA) in London. Her younger sister, Gracie Kelly, is also an actress. Kept her Coronation Street character Becky MacDonald's iconic leopard-print jacket upon leaving the soap opera to mark her time there.